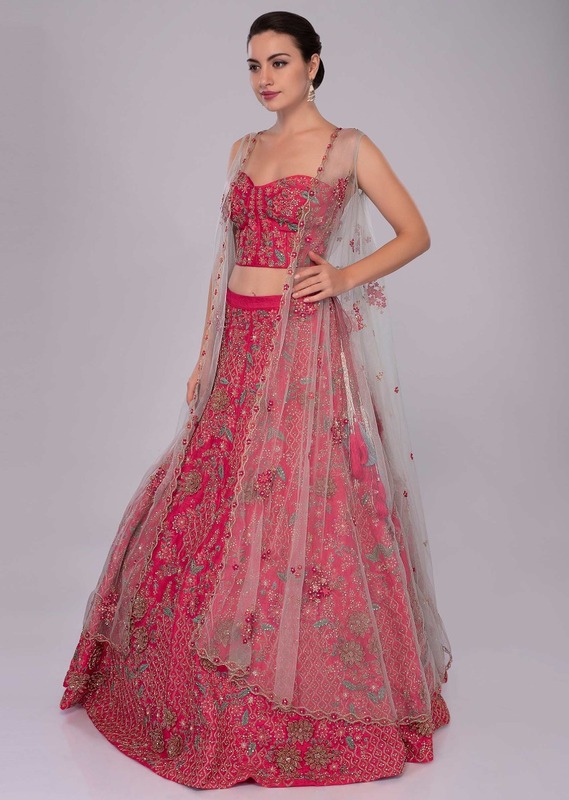 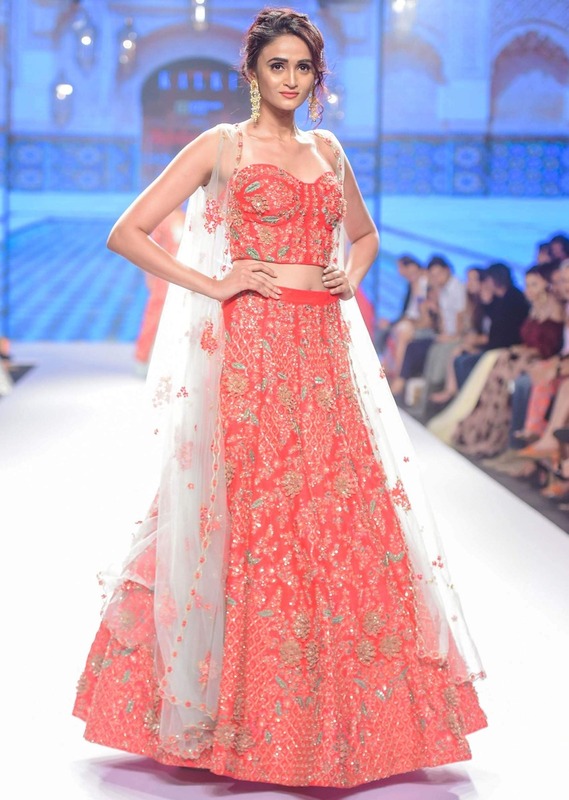 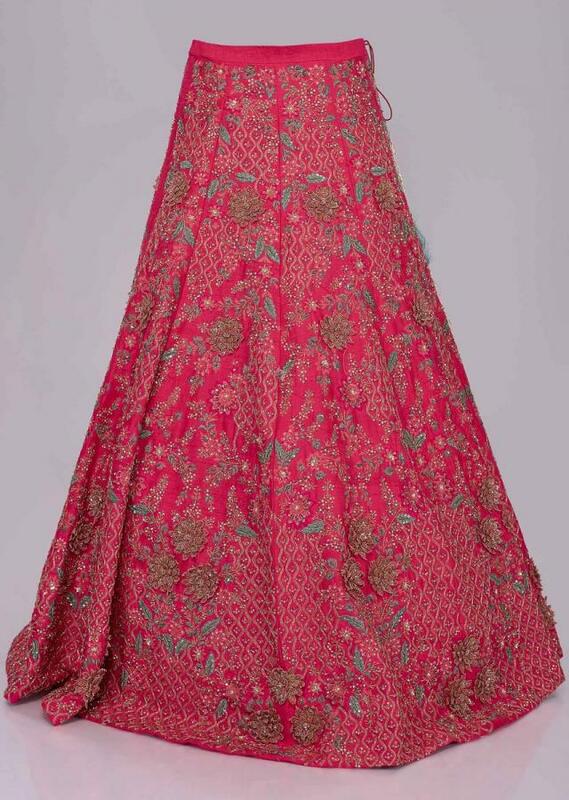 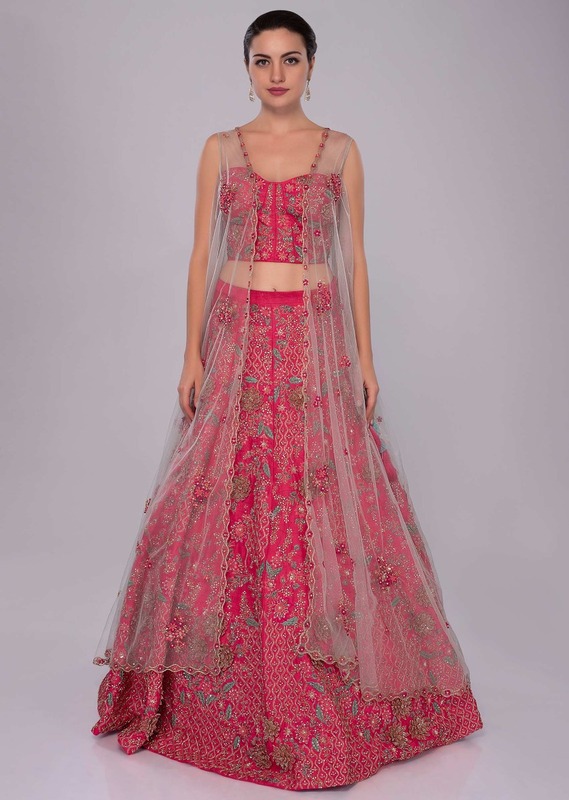 Fuchsia pink raw silk lehenga in kali. 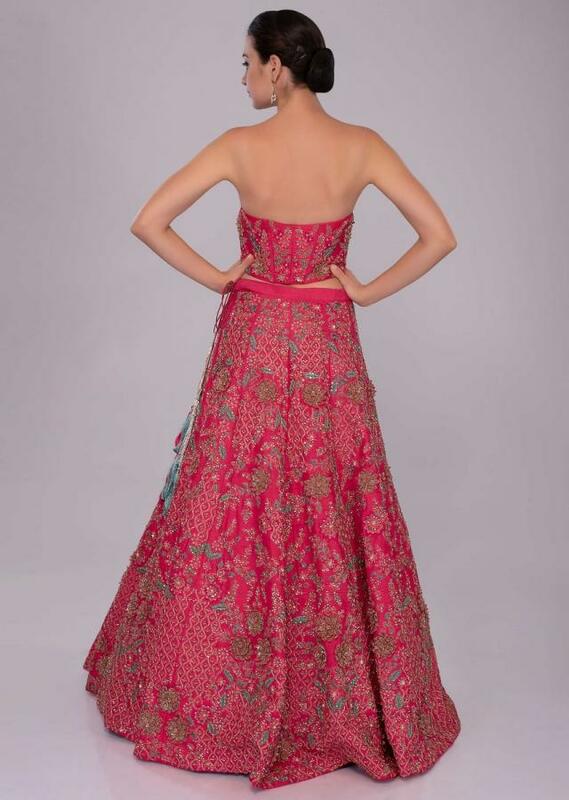 Paired with a matching strapless corset blouse. 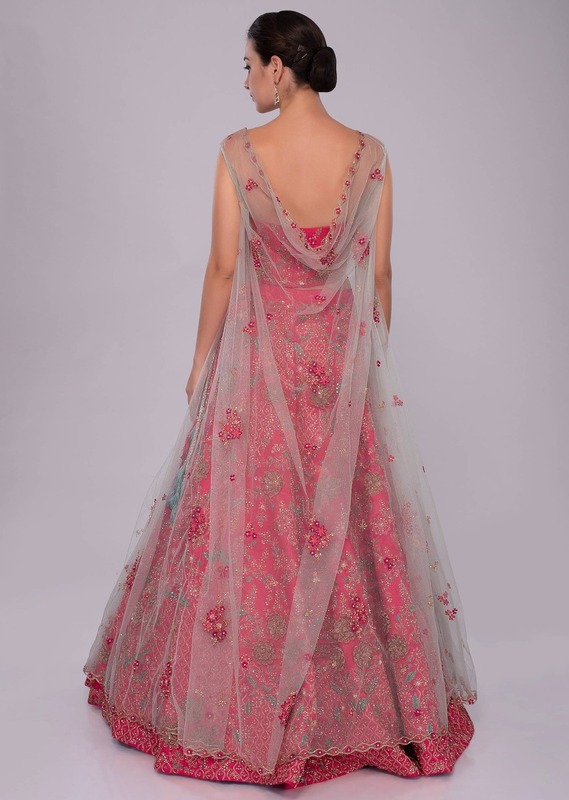 Both embellished with 3D flower, cut dana and sequins embroidery. It is given a contemporary look by pairing it with an Irish mint net draped back cowl jacket with embroidered scallop border.